Incorporating live performance and astonishing digital projections, Birth of Stars tells a moving story about a brilliant young girl whose genius is a terrible burden; only one great scientist understands her, and he has demons of his own. Weaving real data produced by UCSC scientists into the performance, the piece draws a powerful and illuminating parallel between the births, lives, and deaths of stars and we who gaze up at them. Birth of Stars is an original performance event created by the Performative Technologies Research Group of the Digital Arts and New Media Program at UC Santa Cruz, and is a collaboration by faculty, graduate and undergraduate students from Theater Arts, DANM, and Astronomy and Astrophysics, all working together to create an unforgettable cosmic journey that will expand the mind and touch the heart. 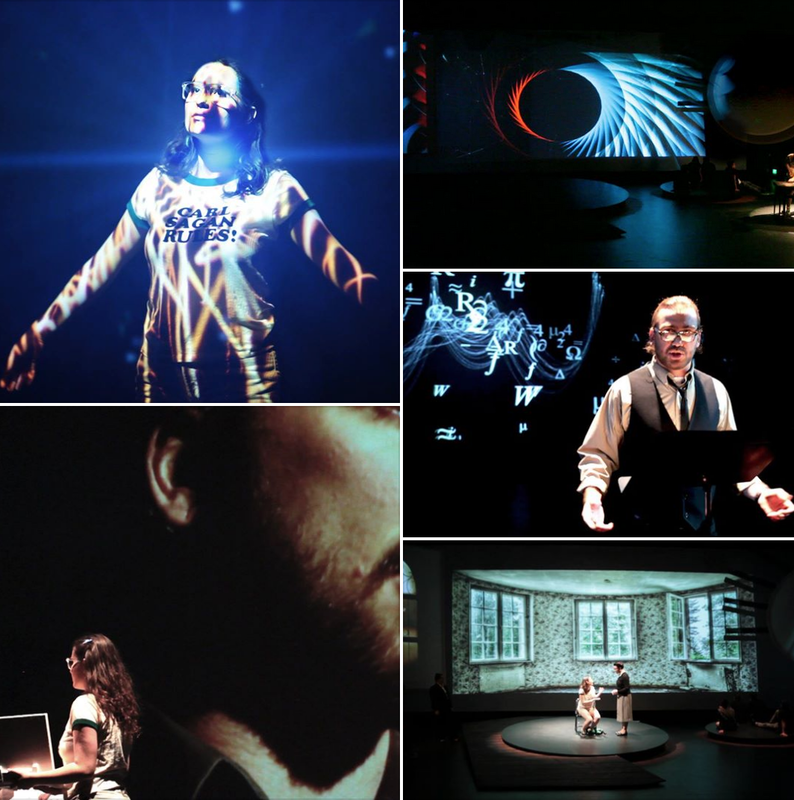 A co-production of the Theater Arts Department and the Digital Arts and New Media Program at the University of California, Santa Cruz. It is made possible by the generous support of the Arts Dean’s Fund for Excellence, the Porter College Mini-Grant Program, the UCSC Institute of the Arts and Sciences, Mr. Ren Klyce, and MAXON 4D.